Hi there, I am not receiving email notification of new form submissions. I have tried multiple difference accounts and check spam filters. Your assistance would be kindly appreciated. After checking our email server logs, I can see that email was successfully delivered to all the three set email IDs, could you check your SPAM folder? 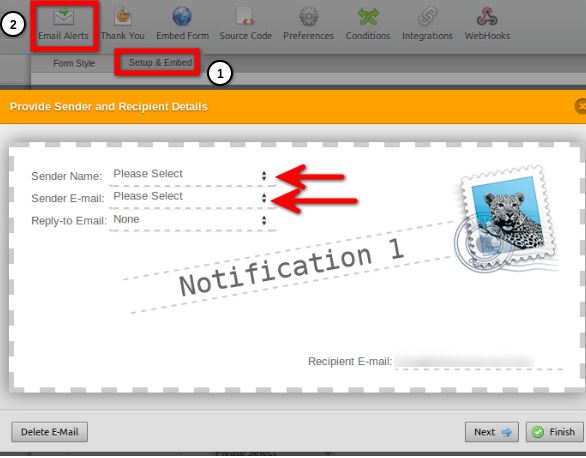 In order to avoid your form notifications being marked as spam, please configure your "Sender name" and "Sender E-mail" too.